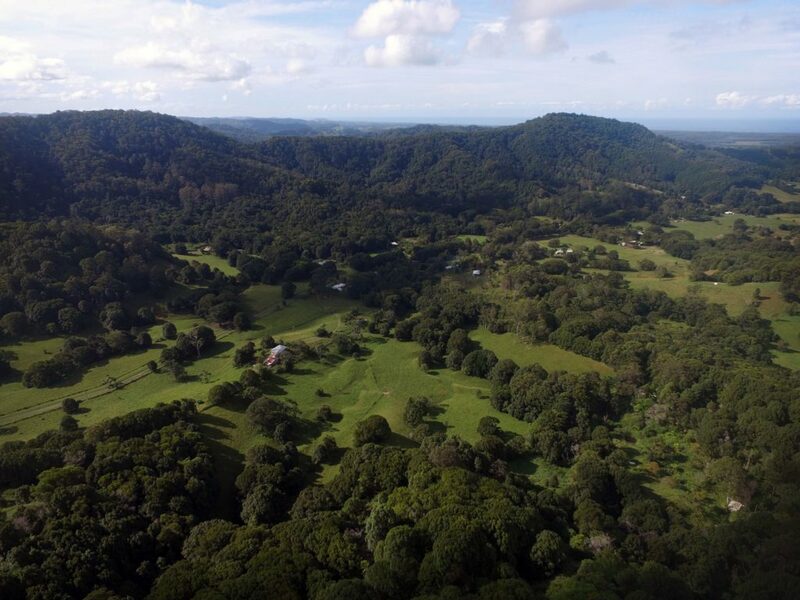 Lord Byron Distillery, Byron Bay, will be opening its doors to the public soon after last weekend’s visit from Bill Lark and Mark Nicholson of Lark Distillery. We are putting the finishing touches on commissioning and we’re about to start bottling our hand-crafted products. 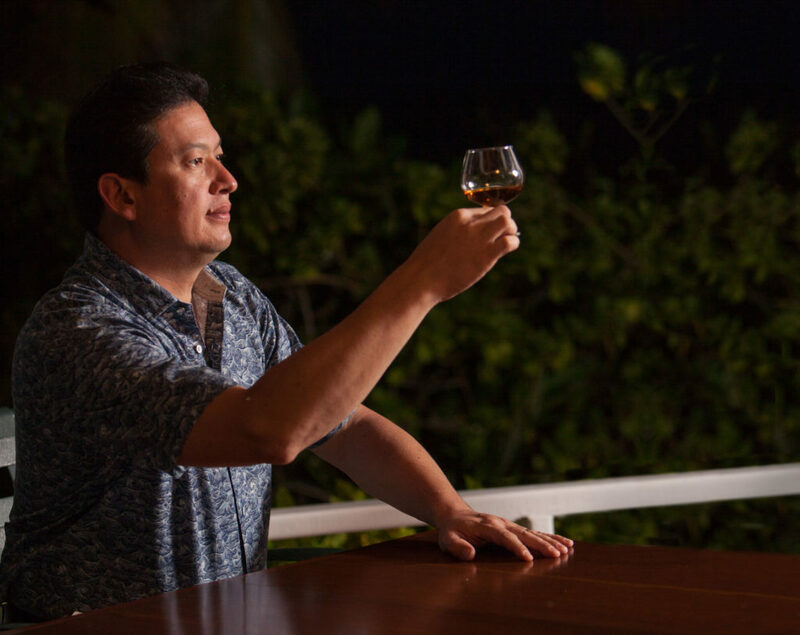 Mark Nicolson is a professional whisky taster and long-time friend of Bill Lark. 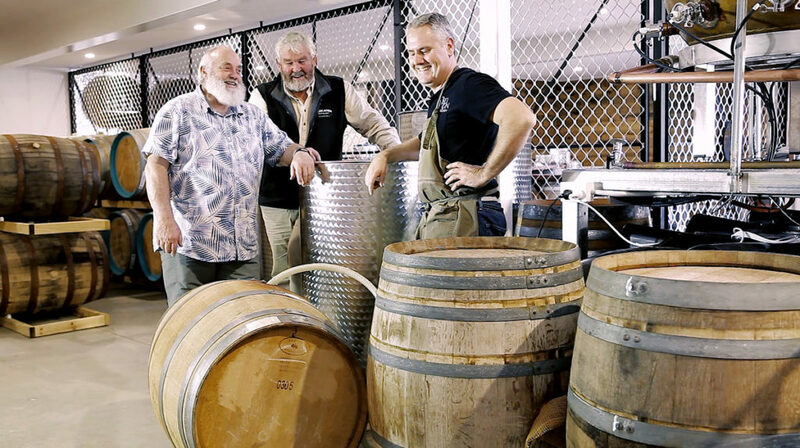 Mark has worked alongside Bill at Lark Distillery for many years and was a key advisor on the establishment of the popular Whisky Trail in Tasmania. We will be releasing a very limited amount of our own hand made Spirit of Byron drinks – silver rhum, vodka and limoncello. The silver rhum is a taste of our double distilled barrel strength rum before it is matured in oak barrels, and our vodka and limoncello are triple distilled and double filtered to ensure purity. We will be holding cocktail making courses and also giving people the opportunity to make their own signature gin. 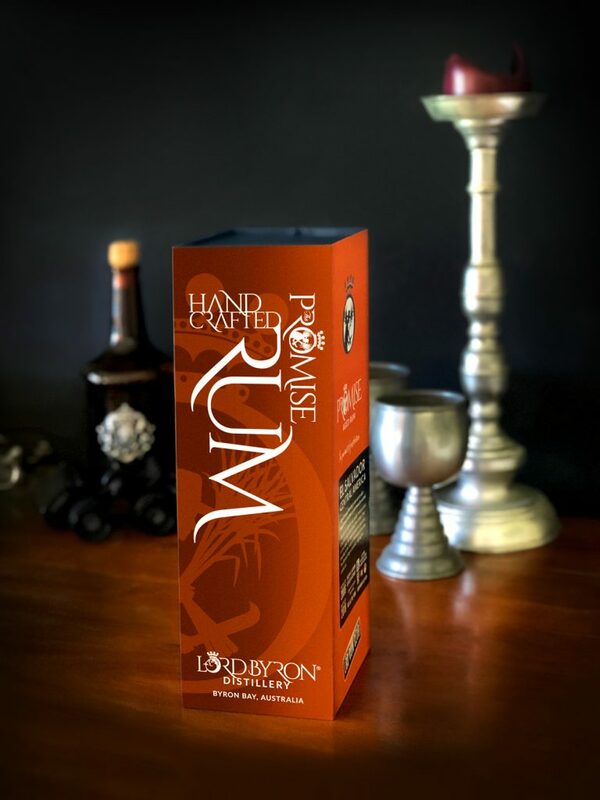 Brian and Helen have sourced another premium, family produced, dark rum from Central America, calling it the Promise (of things to come), to enjoy whilst waiting for the Lord Byron Distillery Rum to age. Micro distilling was outlawed by Governor Franklin (affectionately known to distillers as Bad Frankie) in 1838. Bill Lark succeeded in getting this law overturned in 1992 and soon after started to produce his own distilled spirits. 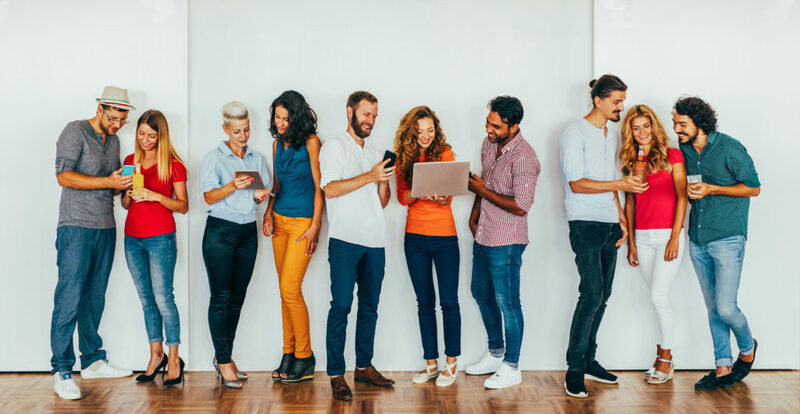 From Bill, the Australian distilling industry has expanded exponentially and continues to do so into a range of Australian spirits including whisky, gin, vodka, rum, vermouth and many others. In recognition of his achievements, Bill was admitted to the World Whisky Hall of Fame in 2015, being only the seventh person outside of Scotland or Ireland to be inducted.